Hi!!! Sorry for not posting last weekend. 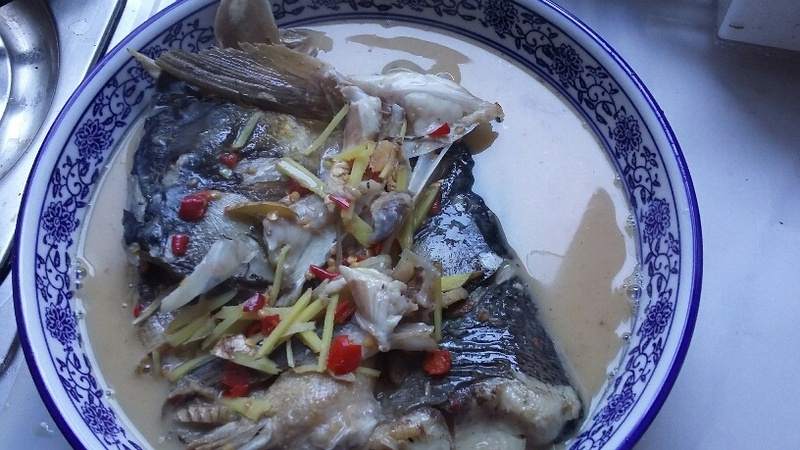 So lately, I’ve been wanting steamed fish like crazy, but it’s winter and all the fish must be in hibernation or something because not a single place had decent fresh fish. All we could find were crazily over priced, questionably raised or treated fish. UGH!!!!!! However, the supermarket did have some amazing Big head carp and my dad is coming home. 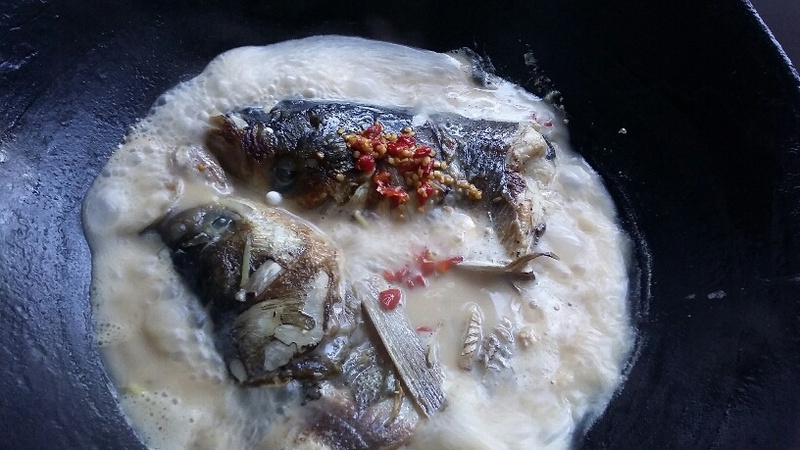 Hence, we decided to make one of his (and my) favorites: Spicy fish head soup!!!!! FISH HEAD??? I know, it sounds strange, but I’m Chinese, and the Chinese don’t waste any part of any animal. Plus, fish heads are chock full of iron and omega-3. It’s eaten all over China and varies from region to region, but in my opinion, the spicy, Hunanese version is superior!!!! First, throughly wash the fish head, generously sprinkle on salt and allow to marinate for 10-15min. Be sure to remove the gills and wash away the blood. Pour in water and bring to a boil. Once the soup is boiling, reduce the heat to low. Cover and cook for 15-20 minutes. The soup should be white. Once the soup is white, add the pepper and cook for an additional 10-15min. Serve and Enjoy!!!! 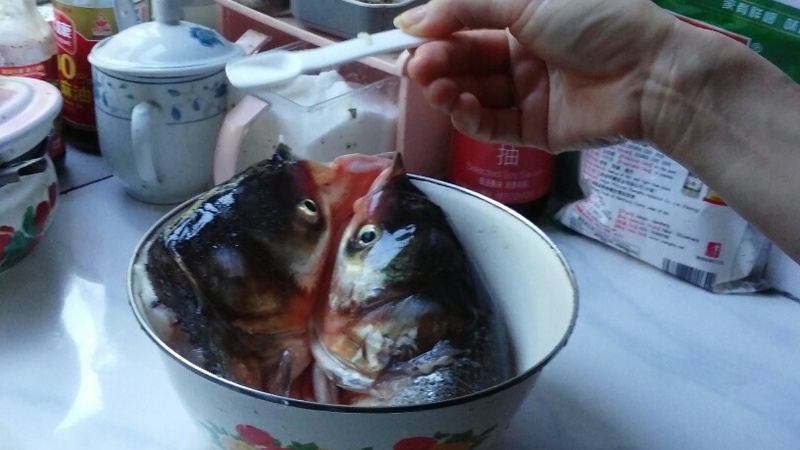 Thoroughly clean the fish head and generously apply salt. Let the fish marinate for 10-15 min. Dust off excess salt. 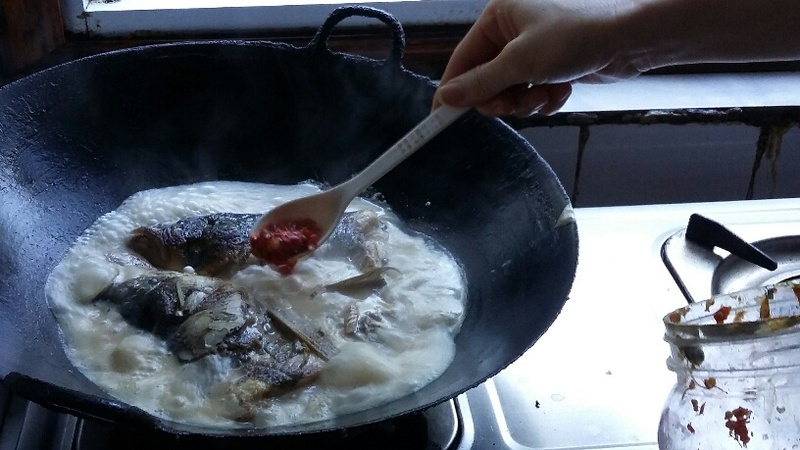 Heat a wok on high heat, add oil and fry the fish head until the meat is opaque (5-6min), drain off excess oil. Add the water and allow to boil. Once boiling, reduce heat to low and cook for 15-20min. The soup should be white. Add the pepper, cover and continue cooking for 10-15 more minutes. Serve and Enjoy!!!! !